This composition on the beautiful and moving text by American author Mary Elisabeth Frye (1905-2004) was dedicated to the ladies choir “Concinite” (Louvain, Belgium, founded 1965 by Karel Aerts), now conducted by Ludo Claesen. 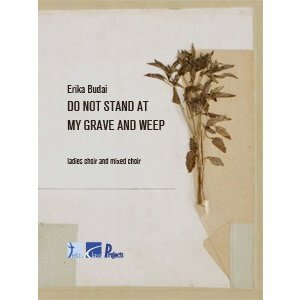 The composition is very appropriate to be performed at funeral ceremonies. 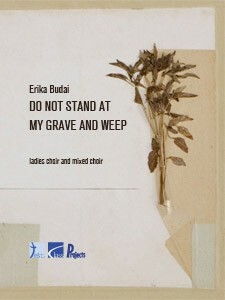 When the famous Belgian composer and conductor Vic Nees passed away (1936-2013) composer Erika Budai dedicated to him a version for mixed choir.